Welcome to Glendale Car Glass. We have been providing auto glass Glendale services for nearly 16 years. All of our highly trained technicians specialize in auto glass repair, windshield replacement and window tinting . We provide competitive pricing for all of our service areas. Our staff is trained to give exceptional customer service and will impress you from the start. Our mobile repair services are provided at no extra charge to our customers, and are designed to help save our customers time in their busy, day-to-day lives. When you give our company a call, we will provide you a free quote for the cost of repairs or a full auto glass replacement depending on your specific needs. Call now to try our free mobile service. We are the number one auto glass and window tinting company for the Glendale area and love to use our extensive experience to take care of our customer’s needs in a professional, but affordable manner. With over a decade of experience, our staff is experts in auto glass, windshields and auto window tinting. We are proud of our excellent customer service and will guide you in deciding which service you may need. Call today to speak with one of our representatives. Premier auto glass and window tinting service guaranteed to fit your budget. When you are looking for the absolute best auto glass repair shop available in the Glendale area of Southern California to take care of your vehicle’s repairs, then you should look no further than Glendale Car Glass. We have consistently been one of the top-rated auto glass Glendale repair shops around the local area. Our shop takes advantage of our more than 15 years of experience in the auto glass industry to bring you the best auto glass service to any location that is convenient for you around our local area in and around the city. Throughout our time of being open for business, our expert auto glass techs have made a big name for themselves while working on all types of automobiles; both foreign and domestic types. It doesn’t matter what you drive, we can help you overcome any type of damage to your car glass. Throughout the 15+ years that we have been open to take care of our customers, our shop has consistently been ranked at or near the top of similar auto glass providers located in the region. Our high rankings come from our consistent dedication to customer service, and we guarantee that you will be extremely pleased with the job we do for you. We also believe in eliminating as many barriers as possible while serving you, and we do not charge you extra for the benefit of getting our mobile glass repair service. We will never surprise you with any hidden fees or surcharges when you get the bill, and you can count on us for any auto glass replacement service. Just call our friendly staff today to setup your service appointment and to see what we can do for you. Many car and truck owners simply do not understand what a vital role the windshield plays in the overall safety of the vehicle for its occupants. Over the years, it has become fairly standard for automobile manufacturers to rely upon the windshield integrity of an automobile in order for the air bags to deploy properly and the critical “Safety Bubble” of the vehicle to be maintained in the event of a horrible rollover accident. If your auto’s windshield has become damaged while driving around the Glendale area of SoCal, then you should not delay in seeking out a windshield repair service as quickly as possible. In our location of the state, every day that you let pass by getting your auto glass repaired is crucial time that you are letting pass that will put both you and your car passengers at risk of getting hurt worse in case you are in a vehicle wreck. At Glendale Car Glass, we have made taking care of our customers our number one priority for the more than 15 years that we have been open for business. Our mobile car glass repair technicians have consistently been ranked as some of the top-performing that you will find in our city. We always deliver top-tier quality craftsmanship on all auto glass services that we offer, and you will not find another company who can compete with us. Throughout the 15 years we have been open (and counting), our auto glass repair teams have consistently demonstrated that they can take care of windshield repair jobs in less than 45 minutes. When the convenience of being able to enjoy our services at your desired location is taken into account (for no extra charge), you quickly see why so many automobile owners have made our shop their top choice when it comes to auto glass repair. All you need to do to get started is give our friendly team a call. We will be more than happy to help you get moving with scheduling our mobile repair teams to help fix your vehicle’s glass today. The mobile repair teams at Glendale Car Glass are trained and certified to provide the full range of window tinting services for your car or truck. During our time in business, we have found that it is not uncommon for our customers who seek out windshield replacement or windshield repair service to ask about adding our high quality car window tinting service to the job. Not only is this very doable, but our technicians are able to perform a full tinting job on your automobile if it came from the factory without any tint. Here in sunny California, the benefits of tinting your vehicles windows are big. With more than 270 sunny days a year, we find that the car’s interior fades more rapidly in our state than others throughout the United States, and our customers get exposed to the harmful UV rays from the sun if they have not had their windows tinted. Our knowledgeable technicians are very savvy when it comes to closely following the state of California’s rules and regulations for the maximum window tint allowed on a vehicle via our mobile window tinting service. Whether it is your rear windows, or the full car, we will keep you street legal and provide documentation that proves your windows conform to the California regulations regarding window tint. If you are unsure what amount of tint is right for your automobile, just give our staff a call today and we can walk you through the process and make a recommendation for what will be the best way forward to tinting your automobile. Additionally, if you are combining our mobile repair services with a tint job, we will give you an overall idea on how long the process will take so that you can plan out the best time for our team to come to your and the vehicles location to do the work. When you demand the absolute best car window tinting service available in the Glendale, CA area, you should not waste a lot of time with companies who do not have a long history of being open for business. You will want to trust your automobile to a shop who has proven the ability to get the job done right, consistently, on the first try. One of your top choices in the local area for this and other auto glass related work is Glendale Car Glass. We have been open for more than 15 years now, and we offer some of the most competitive rates that you will find for premium car tinting services in the area. Our expert staff is able to tackle any make or model of automobile, and you will absolutely love the service quality that we deliver on a consistent basis. We also make sure that all of our mobile tinting and auto glass repair teams are appropriately licensed, insured, and certified to work on your automobile at your desired location around town. We love to over deliver when it comes to delivering quality services to our customers. Our mobile tinting service is brought to you at no additional charge for the convenience of having our techs work on your auto at a place and time that is convenient with your busy daily or weekly schedule. It is not uncommon for us to tackle a job in a client’s driveway or place of business, and our flexibility is unmatched in the local area. You are also guaranteed that our team will never steer you wrong when it comes to the total amount of tint that can be applied to your vehicle windows. If you have any questions regarding the services that we can do for you, please give our staff a call today. 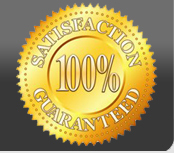 We will always give you a free estimate on our work. Glendale Car Glass is one of the few, proven, auto glass tinting shops around the city who is also known for delivering premium commercial window tinting services for a great price. We commonly take care of company automobiles, fleets of vehicles, and even building windows depending on what your business needs. We have some of the best pricing models around, and our management always makes sure that each and every one of our service technicians undergoes extensive training and certification to work on your automobile or building’s windows. You will be well-pleased in your smart decision to choose to work with our shop, and you will quickly see that our team consistently delivers time and again for our customers. This dedication to their satisfaction has led to our business success, and you will not be disappointed in choosing our shop. We bring our mobile tinting service to you at no extra charge, and you are guaranteed that we do not hide any fees to make up this difference. We also believe in standing behind our work with 100% warranty that is good for the lifetime of your ownership of the vehicle, and we look forward to working with you. If you have any questions, please give our staff a call, and we will impress you. Glendale Car Glass provides excellent auto glass services to customers located in Glendale CA and surrounding areas. We have free mobile service anywhere in Glendale California. We are Auto Glass Glendale – Auto Glass Repair Glendale - Glendale Auto Glass – Glendale Mobile Auto Glass Repair – Window Tinting Glendale. We perform excellent Windshield Repair Glendale – Auto Glass Replacement Glendale - Windshield Replacement Glendale. Our company also does Car Glass – Car Glass Repair – Windshield Replacement – Auto Glass – Auto Glass Repair – Window Tinting. Call us today for a free estimate on your mobile auto glass. We are known for excellent Mobile Windshield Repair. Call us today for you Auto Glass Repair – Windshield Repair – Windshield Replacement. We are your local Auto Glass Glendale CA – Auto Glass Repair Glendale CA. For free estimates on Windshield Repair Glendale CA – Windshield Replacement Glendale CA – Window Tinting Glendale CA – give us a call 7 days a week. We also have free mobile service. Please call for your appointment at 818-254-8154 for a free quote 7 days a week.